“Nagaragawa undercurrent” Flowing underground water is used. 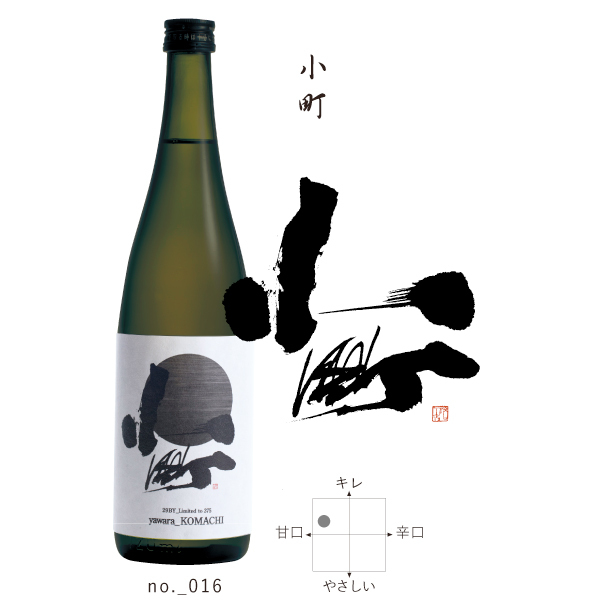 The Nagara River is also selected as a 100-water representative of Gifu, undercurrent water in the clear stream is soft, the aftertaste is soft and smooth. This undercurrent of water has been said to have fermentation power with soft water. The use of this water makes refreshing sake. Founding Meiji 27 years.A hundred years in the area of ​​Kakamigahara. Currently, the sake brewery that will become the master of the fifth generation Local sake storehouse.We stick to the perfect fermentation of traditional techniques, bring out "the relieved tasting sake" to the utmost, with the "natural music" echoing the sake brewery. "Natural music" echoing the collection is indispensable for the sake brewing of Komachi Sake brewery as one of the raw materials.Sake is not what a person makes but what an organism produces.Focusing on maximizing the fermentation power.In "complete fermentation" that yeast will end the fermentation in a natural state,I'm brewing a "delicious relieved alcohol".The role of keeper of imperial archives is To make the fermentation environment of microorganisms involved in liquor fermentation more natural.While checking the data, While watching the face of liquor,We put emphasis on maximizing fermentation power.As a result, the body's feeling that the "umami" of rice swells reasonably, the feeling that it feels delicious in the mouth, the aftertaste from softness of water, soft and refreshing sake is brewed.